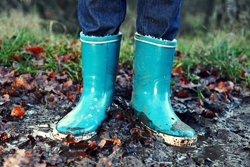 Homeguides.com says: Wet areas in the lawn become muddy when walked on, and grass can also die after being submerged in water for too long. Subsurface drains, man-made ponds, landscape contouring and proper cleanup after floods can help fix wet areas in a yard. Water flows from high elevations to lower ones; it is possible to intentionally contour a lawn so that water flows into drains or ponds instead of creating wet and muddy areas in the grass. Be sure to remove leaves, sticks and other debris from the lawn. Leaves will block sunlight from reaching the grass blades, and they will be harder to remove in the spring when they are wet. Remember to prepare your mower for winter storage: remove the spark plug, drain the oil and gas. Clean off all the grass clippings and get the blade sharpened now to avoid the spring rush. Take care of your feathered friends and keep those bird feeders filled. Hardscaping is an attractive feature and offers many appealing options, from a rustic stacked wall to a fully developed outdoor living room and kitchen. Once you’ve decided to create an outdoor space, you must plan carefully to meet your hardscaping goals. Visit hgtv.com (link below) to read more. Then give us a call for your free consultation! HGTV is providing "Tips for Creating an Inviting Walkway - It’s not just a means of getting from here to there — make a path fun to follow." Read more on HGTV.com. 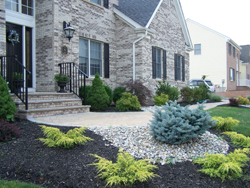 As Landscaping and Masonry experts, DeFeo’s Landscaping can give a whole new look to your property! 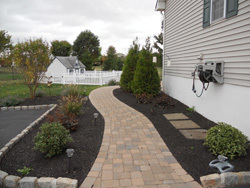 We design and install custom paver patios, walkways & driveways, outdoor kitchens, fireplaces, fire pits, decorative stone walls and retaining walls. Better Homes and Gardens says "These backyards make the ideal, peaceful outdoor retreats. 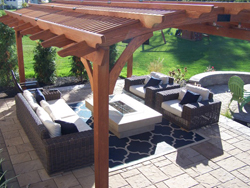 Get inspired to turn your outdoor space into a relaxing haven. " See them on bhg.com. Then give us a call for your free consultation. Landscaping - Where Do I Start? 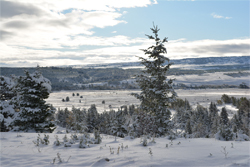 When it comes to creating a landscape plan, the most difficult thing is often the starting point. 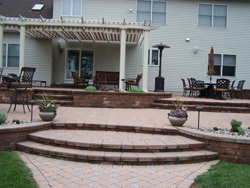 Better Homes and Gardens’ collection of plans and ideas makes it easy to fill your entire yard. Start by seeing the dramatic transformation of spaces in before-and-after. Visit bhg.com to read more. Then give us a call for your free consultation! 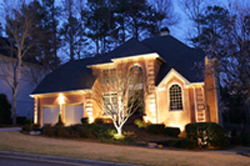 Check out the article "How to Illuminate Your Yard With Landscape Lighting" on HGTV.com. 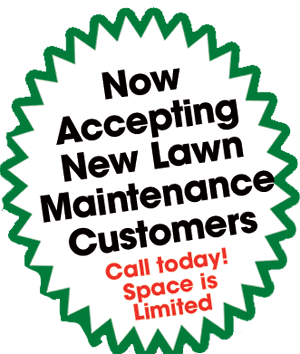 If it gives you some ideas for your own backyard, call us for a free estimate.